In the 1950’s, psychologist Harry Harlow began a series of experiments on baby monkeys, depriving them of their biological mothers and using substitute wire and terry cloth covered “mothers”. Harlow’s goal was to study the nature of attachment and how it affects monkeys who were deprived of their mothers early in life. As an unwitting participant in the human form of Harlow’s monkey experiment, known as trans-racial or trans-cultural adoption, I am constantly seeking to expand my knowledge and understanding of the life-long ramifications of these types of social experiments. According to the State Department, in 2005, over 21,500 children immigrated to the United States for the purpose of adoption, the majority of these children left their native homeland, language, customs, foods and religions for a middle-class, white, American home. The majority of these children also come from a country in which they were part of the racial hegemeny, only to now be part of a racial minority. This blog was born in March of 2006 as a way to put down my thoughts about international and transracial adoption from a point of view that is often missing – the adoptee themselves. As a social worker in the field of adoptions, and having spent a lot of time volunteering or working with adoptees, and having the benefit of a social work education, I wanted to connect-the-gaps in what I saw as an adoptive parent and adoption professional dominant discourse around adoption. Sometimes readers comment that they don’t like that I named my blog “Harlow’s Monkey.” My blog name has always sparked controversy. 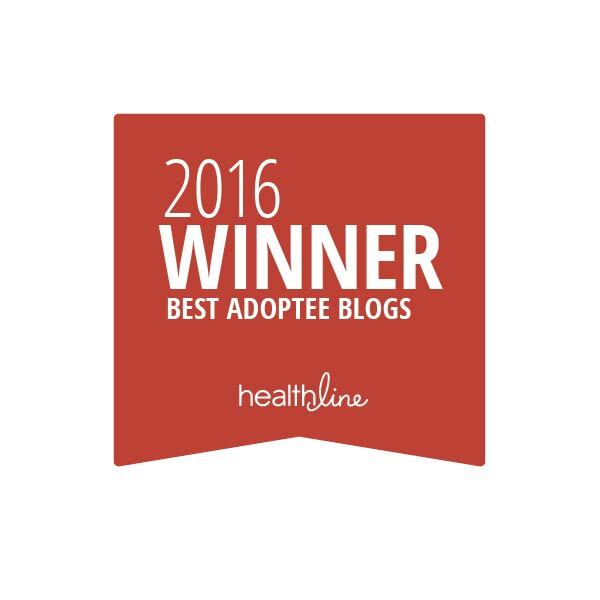 Adoptive parents will say or write on their blogs “I’m not a wire monkey! !” (referring to the “substitute wire or cloth monkey). Others who don’t know who Harlow was, or what the monkey experiments were, often make statements about how my subject/name is “depressing” upon learning about the monkey experiments. Since this is hot-button item, I thought it was time to discuss the subject of Harlow and his monkey experiments in a little more depth, and the reason why I chose this name for my blog. Keep in mind that I am not an expert on Harlow or his science; I just found that there are a lot of parallels between Harlow’s experiments and adoption and Harlow was attempting to learn about the nature of attachment and what happens when infant monkeys are removed from their mothers. I am far from being creative or unique in choosing to name my blog, Harlow’s Monkey. Many others before me have made the connection to adoption. Harlow himself compared the baby monkeys in his experiments to human children and aimed to study how maternal deprivation and love and attachment influenced human beings. greater than the need for food. 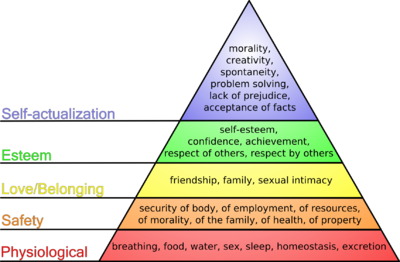 is an important concept in terms of adoption, because often the philosophy around adoption was centered around “feed ’em, clothe ’em and put a roof over their heads” – in other words, the first two levels of Maslow’s hierarchy of needs; what I call shelter (food, clothing and shelter) and safety. institutions, there is just not enough to go around. So, most people would make the argument that a living situation that is more “home-like” or “family-centered” is better for attachment for children. Hence the reason some countries, such as Korea, have since tried to move to a foster care system of providing for abandoned or relinquished children instead of orphanages, like the ones I lived in in the early 1970s. published between 1894 and 1935 advocated against “the ‘vicious practice’ of rocking a child in a cradle or picking her up when she cried” (Holt, 1841-1935). that those monkeys who had the cloth-covered “mothers” were able to calm themselves better when frightened with stimuli; they also hadquicker resolutions after being frightened to base-level behavior. The wire-covered monkey babies, however, had great difficulty when frightened. They did not go to their mother; instead, they would screech, rock back and forth or throw themselves on the floor. Harlow’s experiments showed us that attachment and bonding is more important to the infant monkey than just providing for physical needs. That is, we want to develop in our children the next few steps on the Maslow’s hierarchy of needs; what I’ve called socialization (family, friends, community – in other words, a sense of belonging); self esteem and self-actualization. real mothers confirms this view. Like our experimental monkeys, these infants spend many hours a day clinging to their mothers, and run to them for comfort or reassurance when they are frightened. The deep and abiding bond between mother and child appears to be essentially thesame, whether the mother is real or a cloth surrogate. . . .
preliminary experiments with our monkeys we have also found that their affectional responses develop, or fail to develop, according to a similar pattern. In naming my blog Harlow’s Monkey, I was not aiming to “diss” my parents. Harlow’s Monkey was named to illustrate the broader issues that I see in adoption. Whether it’s “harsh” or not, the truth is that for those of us who were adopted, we are being raised by “substitute” parents. Just as we children are often substitute children for our parents, especially those of us who were adopted as a result of our parents’ infertility. But as Harlow’s experiments clearly show, it is the quality of the comfort and the ability to meet our emotional needs that is important and not just the ability to feed, clothe and shelter us. Which is an important consideration when thinking about things such as home studies. Home studies and foster care licenses were once based more on the ability of the parents to provide the shelter and safety requirements for a child. We now know that it takes much more; the ability of the parent to provide emotional comfort and care. This is especially important to me because when we think about transracial adoption and international adoption, we social workers look at the home study and see that yes, this parent or these parents can meet the physical and safety needs of a child; and they seem warm and caring too. But without an ability to provide for our emotional and psychological comfort around our racial and cultural needs, we are left alone like Harlow’s rhesus monkeys and their wire-only mothers. Do I think that I am part of a large, social experiment? You bet. Just like Harlow’s rhesus monkeys, we transracially and internationally adopted persons have been poked and prodded and been the focus of many evaluations and studies in order to see whether it “works” – that is, are we psychologically all right after being removed from our families and communities of color into mostly white, middle- to upper-class families? How are we transracial and international adoptees faring, considering that the current federal legislation in the United States prohibits considering the cultural and racial needs of a child? Harry Harlow didn’t walk into his lab, conduct his experiments on one baby monkey, then call it a day. He repeated his experiments, like good scientists do, in order to achieve some amount of reliability and validity in his results. On a micro level, I am just my parents’ daughter, sister to my siblings, auntie to my nieces and nephew, grandchild and cousin. But I am also part of a macro system of children who were born under circumstances that led to my being placed in a substitute home. Over 200,000 of us from Korea alone. When people focus on individual cases, one (or two) parent(s) and one child, it’s easy to forget the larger societal patterns that happen as a result. We are talking about diasporas and migrations. We are talking about displacement and traumas. I am not “dissing” my parents, because they did what they were advised to do by their social workers and adoption agency. They raised me as as if I was a white child born to them, just like my siblings. It is the larger, societal issues, such as the philosophy of the times that advised social workers 20 years ago to raise their children like “white, biological children” that trouble me. Harlow’s Monkey is my way of lifting the micro-level veil over our eyes and examining the macro- and global issues around the practice of adoption. For more on Harry Harlow and his monkey experiments, see: The Nature of Love and Wikipedia’s entry on Harry Harlow.